Ron Wong turned his passion for politics — and his commitment to empowering communities of color — into a thriving business. 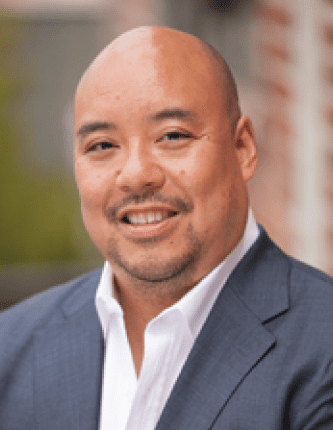 As President and CEO of Imprenta Communications Group, a Los Angeles-based public affairs, ethnic marketing and campaign firm, Wong develops and executes campaigns for a variety of clients, including Fortune 500 companies and prominent candidates. Wong takes a quiet, in-the-background approach as he helps communities of color, especially Asians and Latinos, with communications that show a respect for their culture, language and diversity. Diverse communities need to be reached in languages they understand, so Wong does so by communicating in their native languages. His target audiences speak Spanish, Chinese, Vietnamese, Hmong, Tagalog and Korean. Example: Southern California Gas wanted to publicize its California Alternate Rates for Energy (CARE) program, in which low-income customers could receive a 20-percent discount. Imprenta did market research to find the target communities, then went door to door with door-hanging advertising to reach those eligible. People hung the signs, others noticed, and they took advantage, too. If that seems like common sense, then not everyone has Wong’s sense. To him, politics is business, and business is politics. And communications intersects both. It goes back to his experience in politics. Working as former California Gov. Gray Davis’ chief deputy appointments secretary between 1998-2001, Wong advised Davis on filling the more than 3,000 appointments to various commissions, boards and exempt positions, which helped him focus on the big picture and be able to answer every possible question that might arise. Here’s another example, from an Inc. magazine article ranking the 500 fastest growing privately held companies (Imprenta was No. 413): A San Francisco-area political campaign wasn’t sure how the Chinese community felt about an initiative. “Did you poll the Chinese voters in Chinese?” Wong asked. He also served on the staffs of then-Speaker of the Legislature Willie Brown and then-State Sen. Art Torres. He served in the Clinton Administration as communications director for the U.S. Department of Justice, Community Relations Services. He also served in the Obama Administration on the U.S. Small Business Administration (SBA) Regulatory Fairness (RegFair) Board. He lists Pacific Gas and Electric, SoCal Gas, Health Net, NBC Universal, Comcast and The California Endowment as clients. Imprenta billed $25 million in 2016, and billed just $4 million less last year in a non-election year. He’s optimistic that the numbers will rise again in this, an election year. He has won numerous awards, including last year’s PR Professional of the Year from the Public Relations Society of America, Los Angeles Chapter. Imprenta has also won numerous awards including Boutique Agency of the Year, and nearly 100 individual awards and recognition for creative excellence and campaign success. Despite the divisive nature of politics, Wong remains optimistic. This entry was posted on Thursday, March 15th, 2018 at 6:05 PM and is filed under Business/Economy, ISSUES.